Here at Atomic Magpie, we spend as much of our time cleaning and restoring vintage items as we do sourcing them. Pieces that are 40+ years old come in all conditions. From pristine and barely used to well loved, thrashed and modified. Looking past decades of paint, grime and use can be challenging. That said, seeing good bones underneath 1980’s seafoam green paint and then restoring the item to its original glory is extremely satisfying. 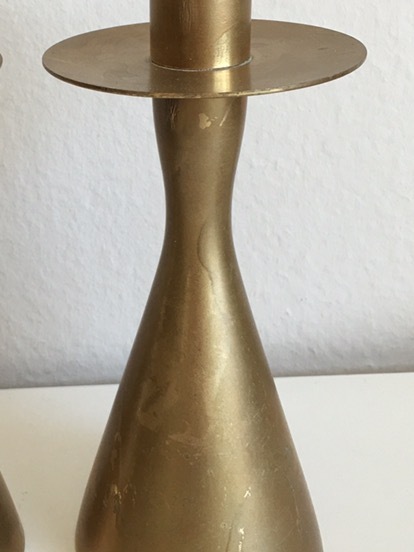 Along the way I have picked up many handy hints and tricks for restoring items, and this post is going to talk about one of them. 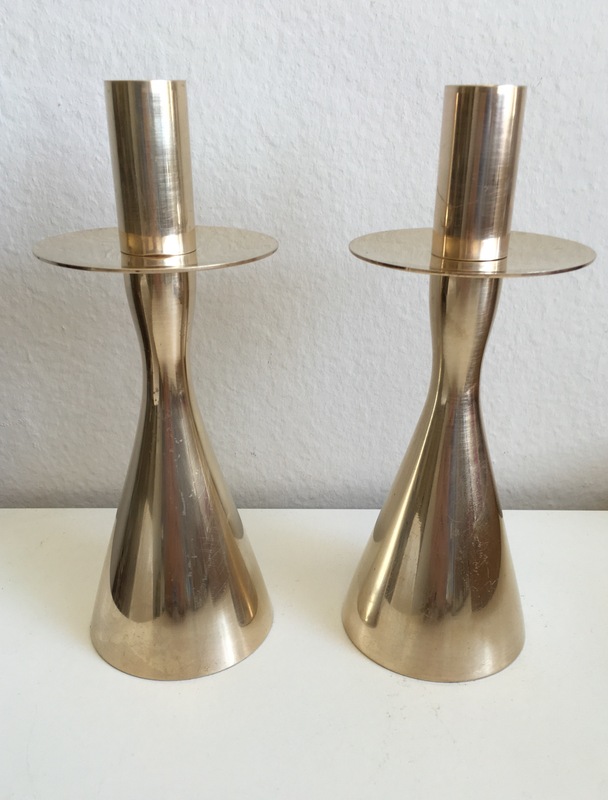 This gorgeous pair mid century Danish modern candlesticks had been gold spraypainted (badly). Maybe the original owner didn’t feel like polishing them? Or wanted a matte finish? One can only guess, but they were covered in an uneven, drippy coat of paint and looked miserable. Here’s where the fun starts! 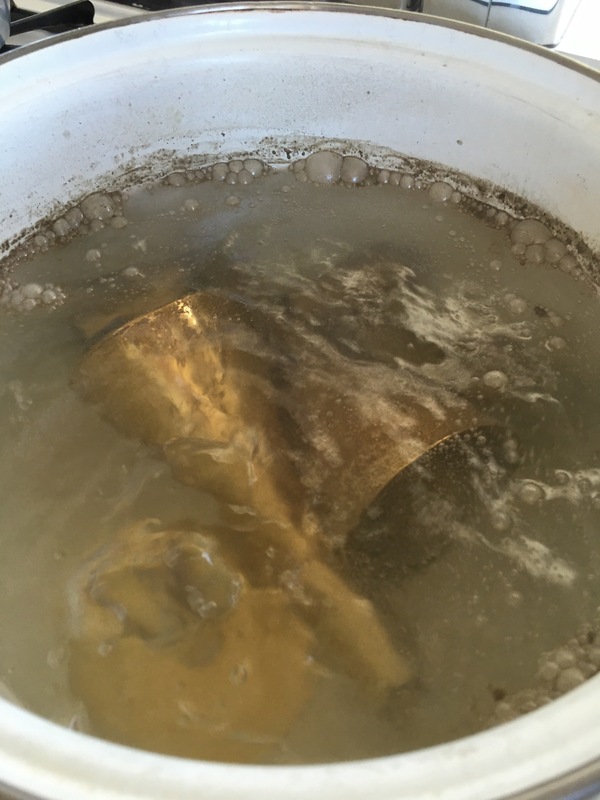 After doing some research, I learned that brass expands when heated. Meaning that heating it would almost force the paint to come off. I’m no scientist, but this sounded legit, so onwards to heating the candlesticks. After filling an old pot (that wasn’t going to be used for food again) with water and a shake or two of baking soda (I’m not big on measuring), I boiled the candlesticks for about 90 minutes. Bubble , bubble, toil and trouble! 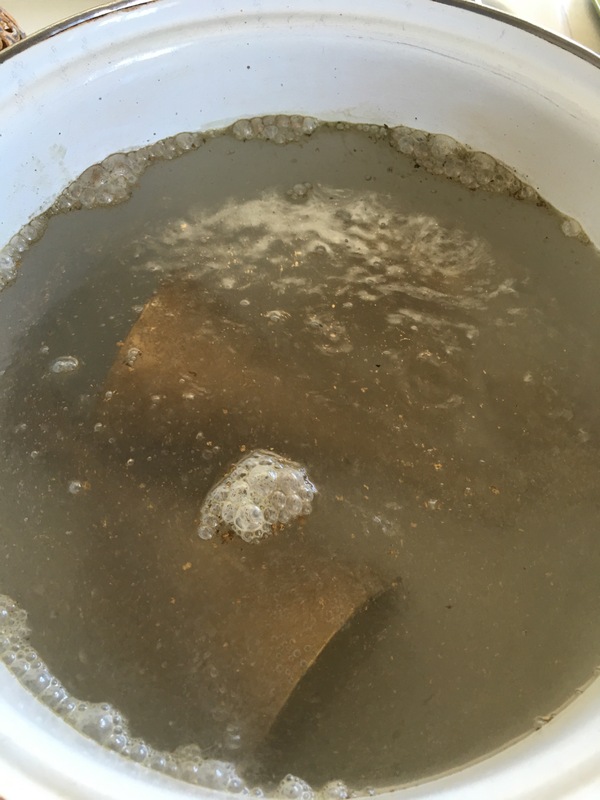 After removing the pieces from the pot, they were scrubbed gently with a regular kitchen sponge/scourer to get the remaining paint residue off. An engineer friend mentioned afterwards that it’s probably not a wise idea to put heated metal directly under cold water, as it can crack with the sudden heating and cooling/expanding and contracting. 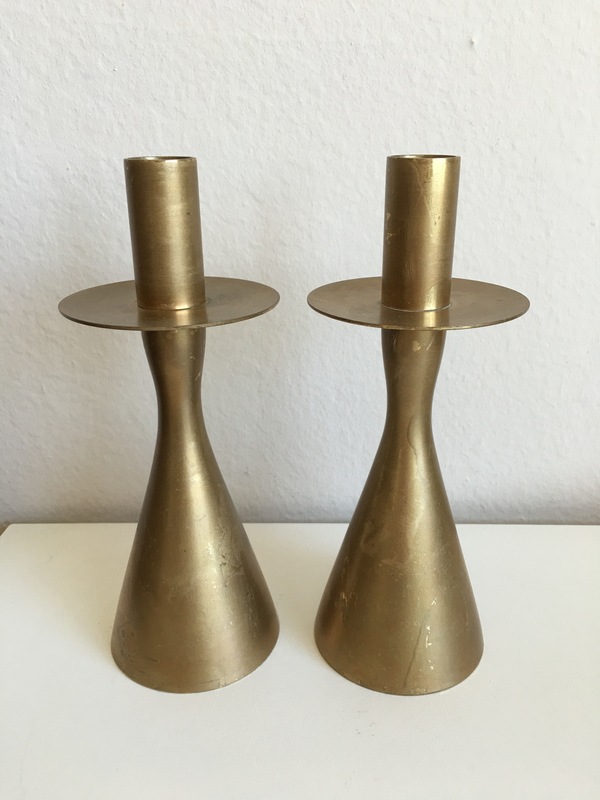 Brass is a softer metal so that doesn’t typically happen, but if you’re not 100% sure what type of metal you’re dealing with, take care with that step. Last up, a quick polish with one of my faves – the ever trusty “Barkeepers Friend”. This stuff is amazing, and polished the brass in an instant. Pretty flash I think!